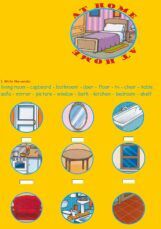 Practice vocabulary related to the house (window, floor, cupboard...) and actions in the house (wash the dishes, make the bed...). Then choose don�t or doesn�t. 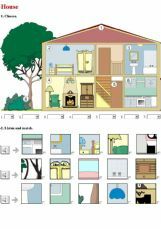 Simple activities to practise the parts of a house. 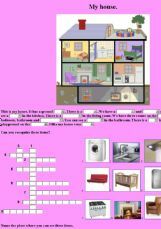 This exercise contains a video passage about the Simpsons� home to practice parts of the house. 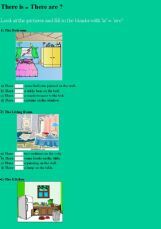 Useful to practice prepositions of place together with there �s-there are.It also includes an exercise to practice simple present. 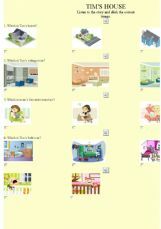 I have designed it for the book "Happy Earth 1" Have a nice day! 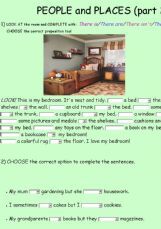 Reading exercise with images to discriminate. 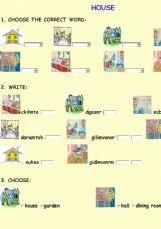 To revise house and room vocabulary.